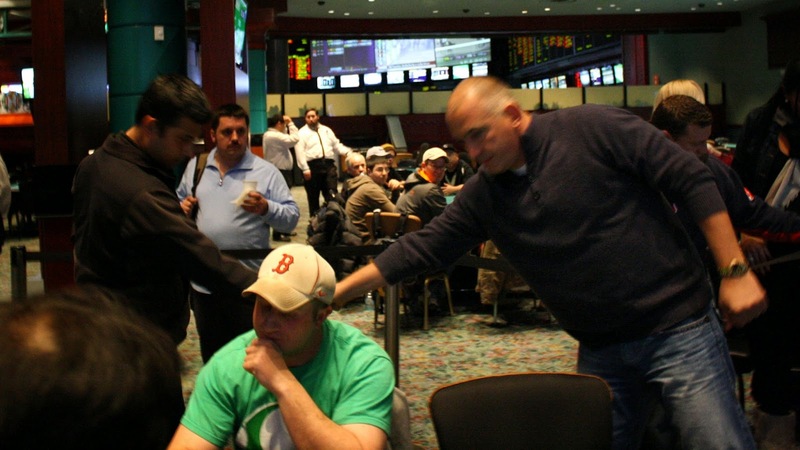 As the 30,000/60,000 blind level began, the final 3 players decided to make a deal and chop up the remaining prize money. She Lok Wong will take $85,000 along with the title and trophy. As the money bubble approached yesterday, She Lok turned down any deal for paying the bubble as he said he only had his sights set on first place. He has done just that. 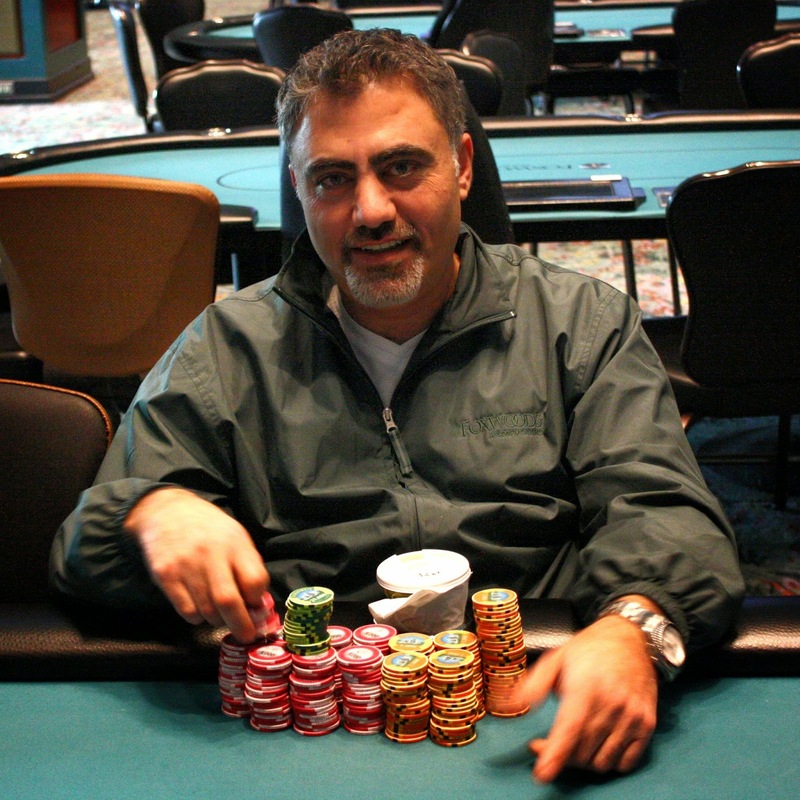 Sam Haddad will take 2nd place for $92,434, and Mazen Nesheiwat will take 3rd for $84,125. 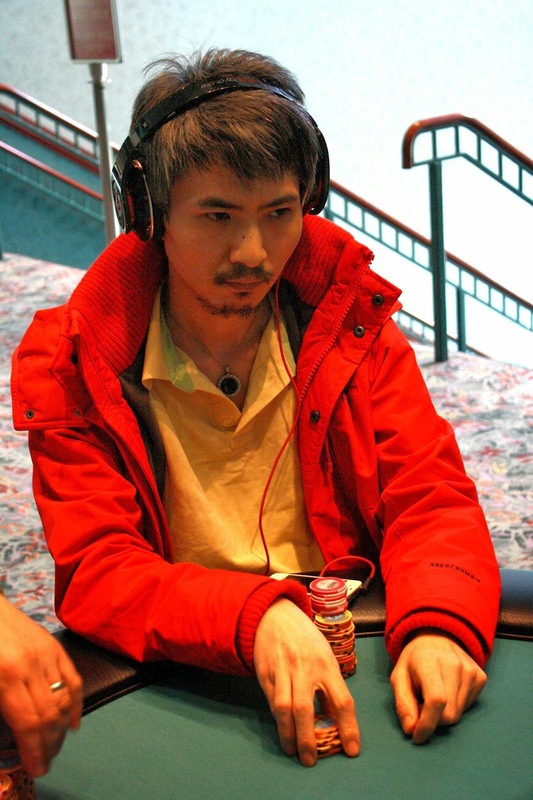 Four handed, action started with She Lok Wong who limped for 50,000. 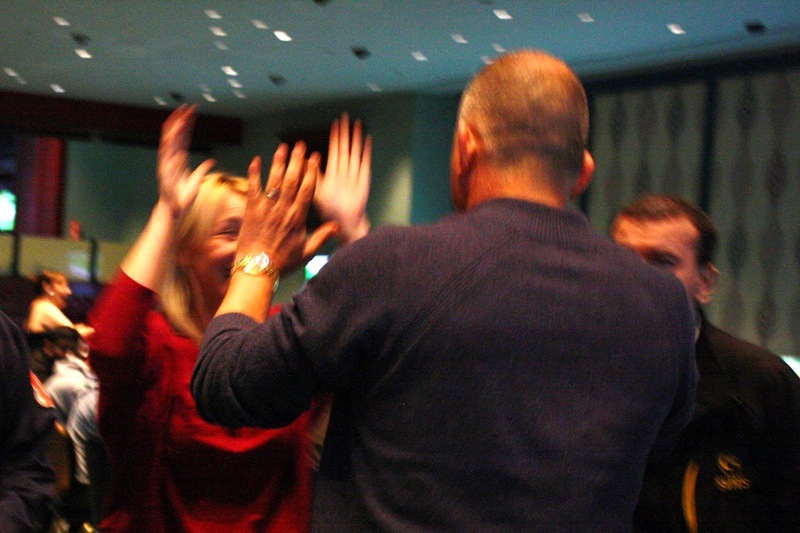 Mazen Nesheiwat raised to 200,000 and Aaron Smith re-raised to 525,000. 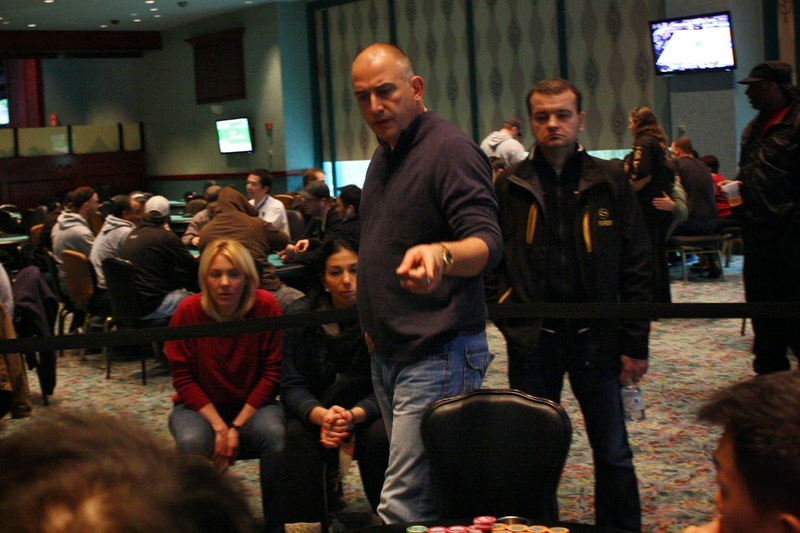 Sam Haddad four-bet to 900,000, and both She Lok and Mazen folded after a little hesitation. Aaron moved all in and Sam called. It was a cooler as Aaron held [As][Ac] to Sam's [Ks][Kc]. 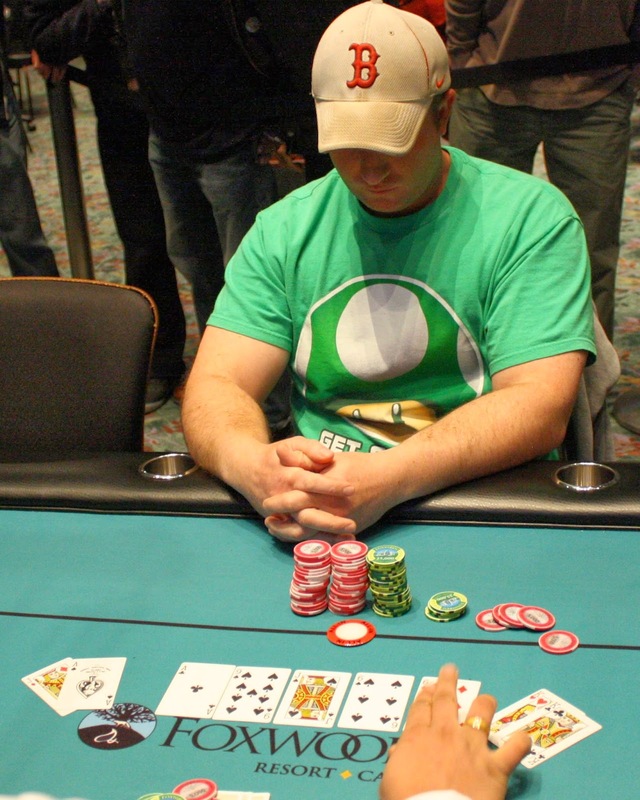 Aaron was in great shape to double up as the flop fell [6d][Ts][8d]. The turn was the [Qc], which changed nothing, but the [Kd] gave Sam the two-outer he needed to eliminate Aaron. Aaron will collect $43,844 for his 4th place finish today. 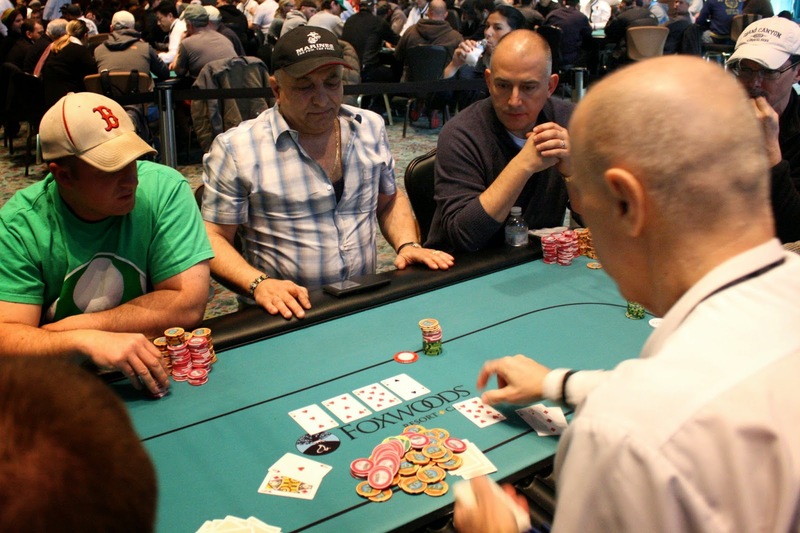 Mike Jarvela was all in preflop holding [Ah][7d] and was up against Mazen Nesheiwat's [As][Qd]. The board ran out [2s][Td][3s][8d][4d] and Mike will be our 5th place finisher. He collects $32,883 for his efforts. 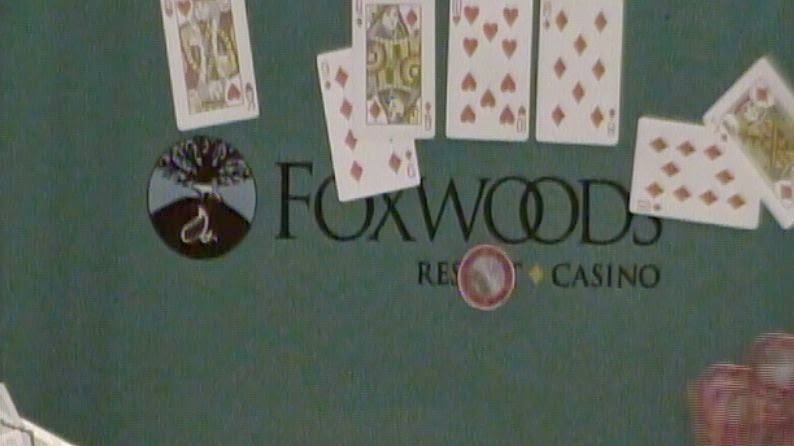 Aaron got lucky when the flop fell [Ac][9s][Js], and his top two pair held through a [6s] turn and [6d] river. 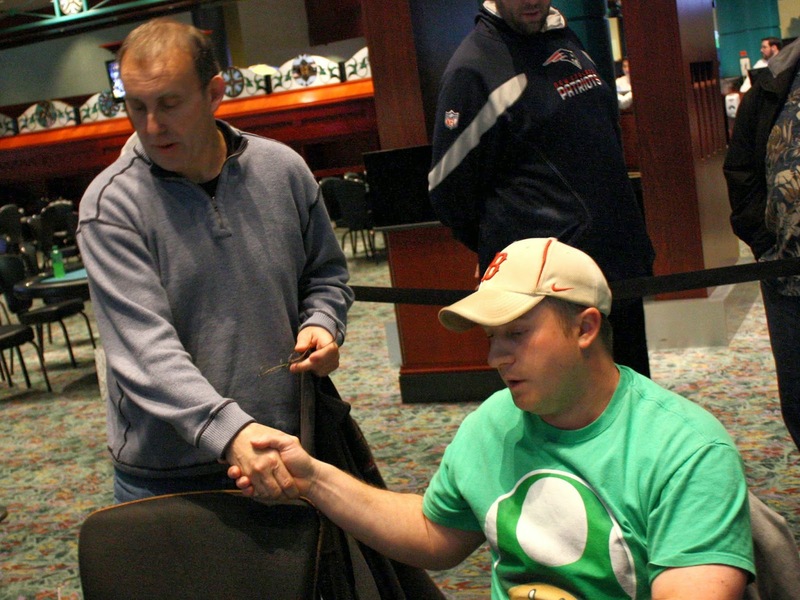 His chips were counted, and Sam shipped over 845,000 chips into Aaron's stack. Cards are back in the air and the final five are now playing 25,000/50,000 blinds with a 5,000 ante. At 15,000/30,000 blinds, Bharath Sreekanth opened to 80,000 in the cutoff before Sam Haddad reraised from the small blind to 350,000. 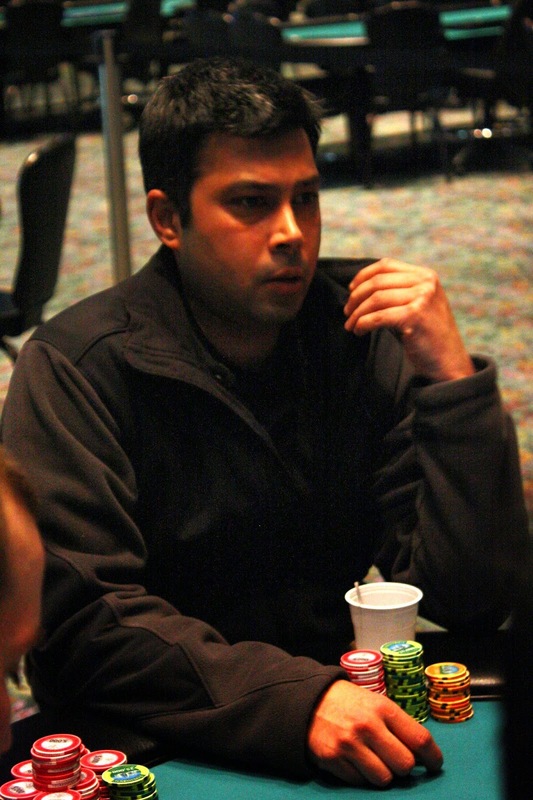 Action folded back to Bharath who moved all in for an additional 520,000. Sam got up from his chair and reasoned through the hand, eventually making the call. It was a coin flip for over a million in chips. If Sam won, Bharath would be eliminated. If Bharath won, Sam would be crippled. 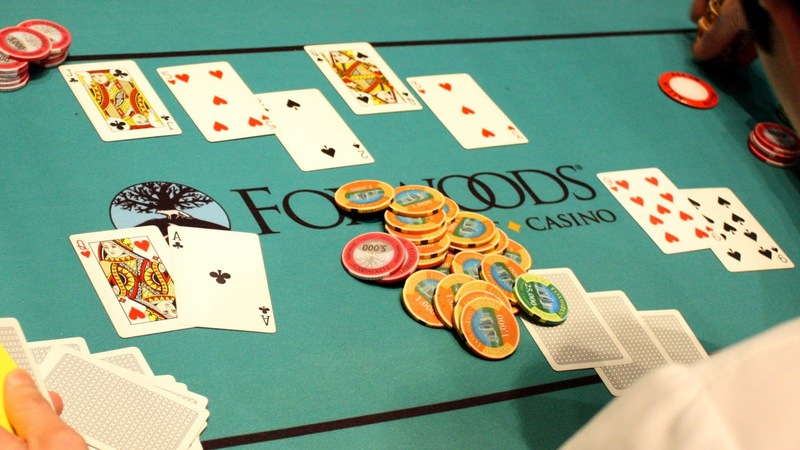 The dealer fanned a [Kh][7h][5c] flop, and Sam's pair of kings took the lead. The [Jh] changed nothing, and Bharath would need a six to stay alive. 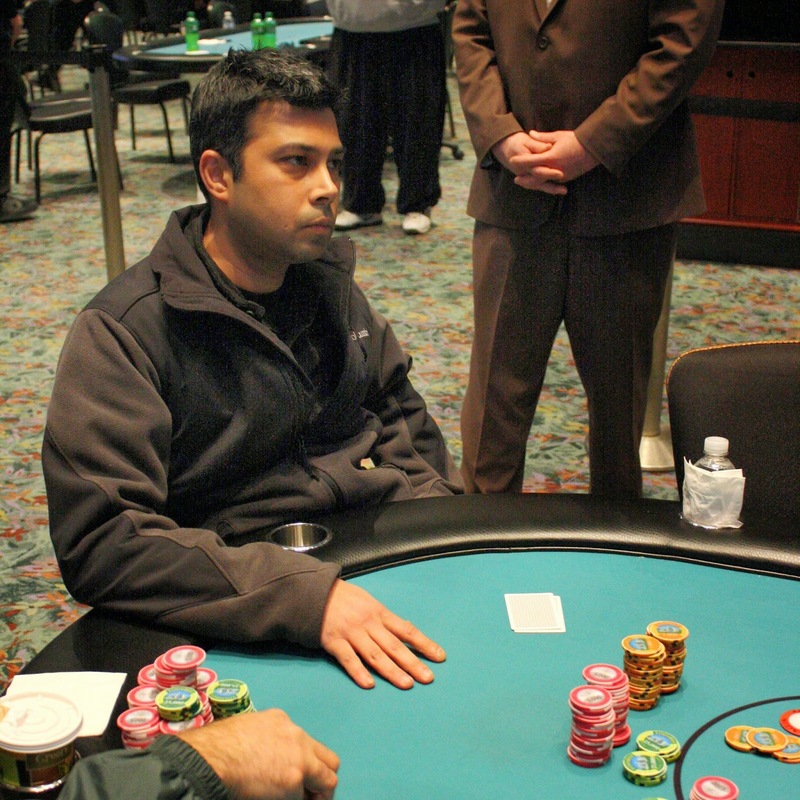 But the [Ac] gave Sam the winning two pair, sending Bharath to the rail in 6th place. He will collect $26,307 for his efforts today. Any hope of sucking out was mostly taken away as the flop fell [5h][7d][Qd], giving Aaron top set and leaving Daniel to have only runner runner outs. 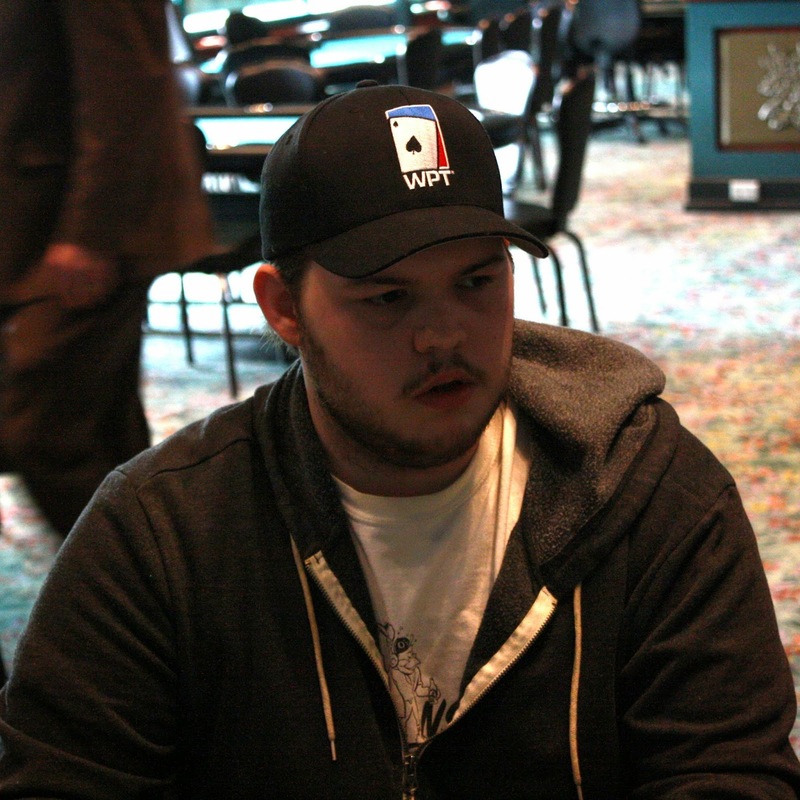 The turn and river failed to save Daniel, and he will exit this tournament in 7th place, good for $21,374. 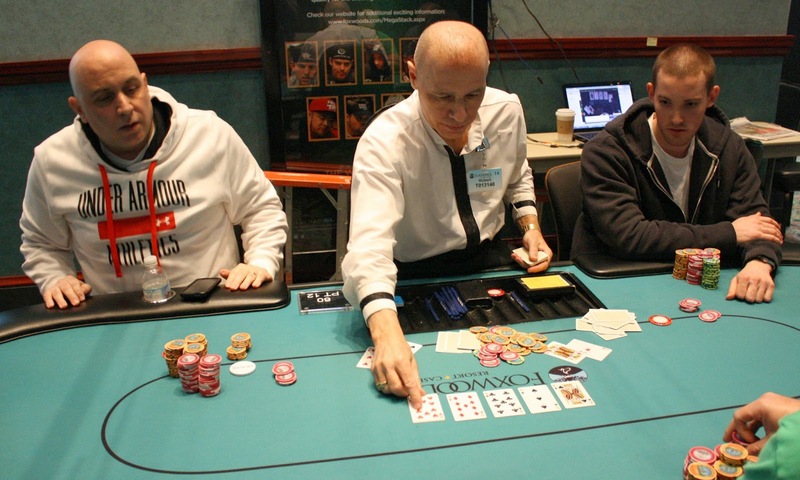 Antoine Younes was all in preflop with [9s][9h] against Aaron Smith's [Ac][Qh]. The [Jc][5h][2s] flop was safe for Antoine, but the [Qs] paired Aaron's cards. Antoine would need to catch one of the two remaining nines to survive, but the [3h] river ended Antoine's run. 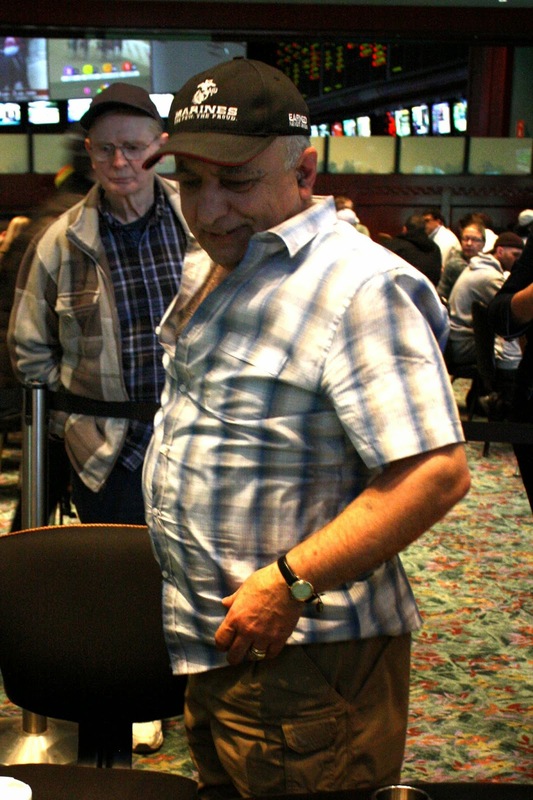 He will collect $17,537 for his 8th place finish. 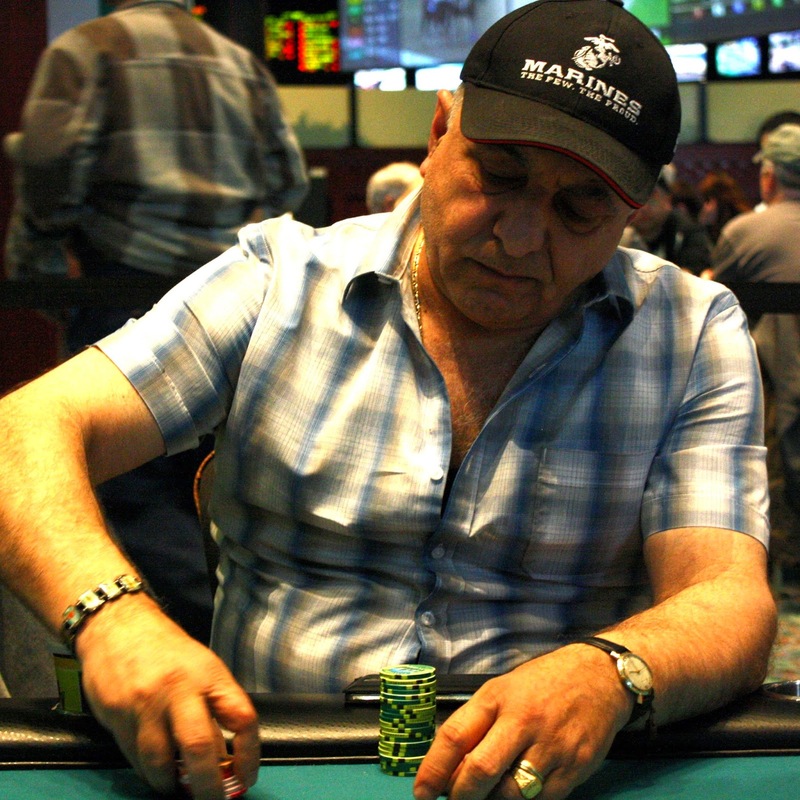 Joseph Tieri was all in preflop and was called by both Mazen Nesheiwat and Sam Haddad. The two checked to the river on a [5d][3d][8s][2c][Ac] where Sam bet the minimum and Mazen folded. Sam declared that he had the nuts, however he only had the second nuts as he tabled [4s][4c]. 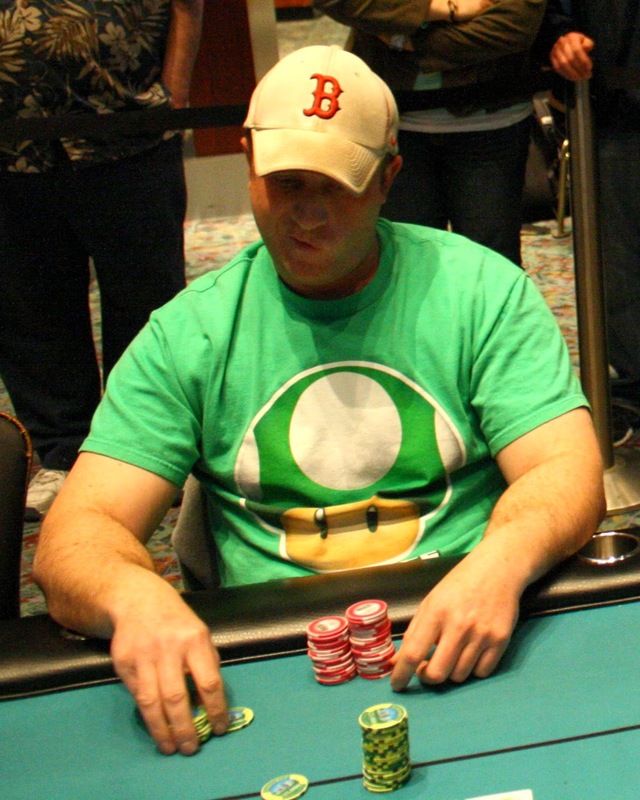 Joseph thew his [Ah][7d] into the muck and headed to the payout desk to collect $13,712 for his 9th place finish. 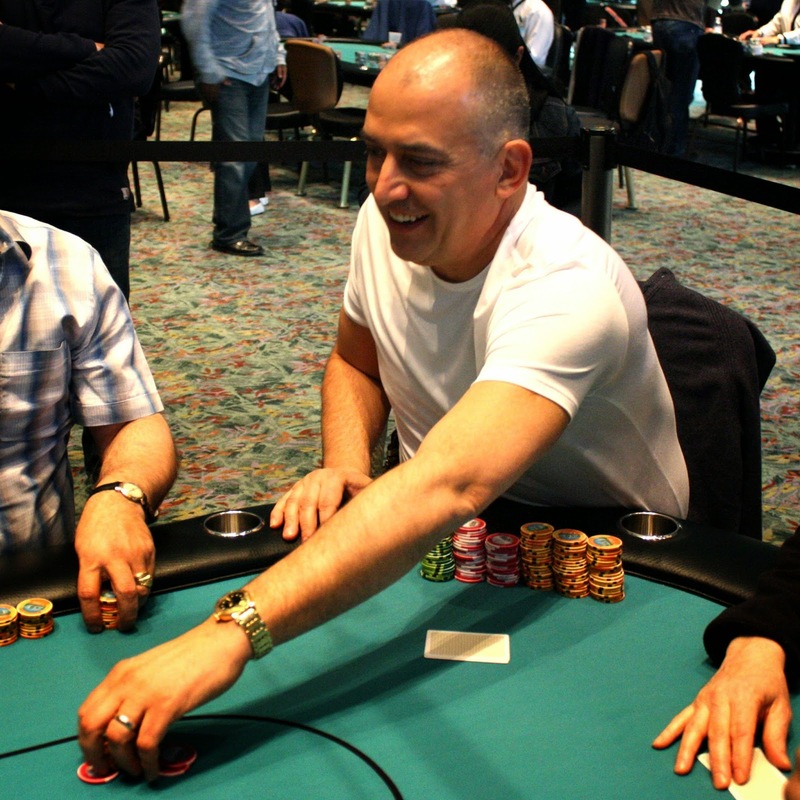 Antoine Younes opened for a raise before Sam Haddad moved all in. Action folded back to Antonie who made the quick call, showing [Ac][Ks]. But Sam tabled [Ah][Ad], making this the second time we've seen this matchup since being at the final table. Amazingly, a similar flop appeared when it fell [3d][Kd][7d], leaving Antonie drawing to a non-diamond king. The turn and river fell [7h][Qd] to give Sam the nut flush, scaring him briefly since the river was red paint (the [Kh] would have busted him). 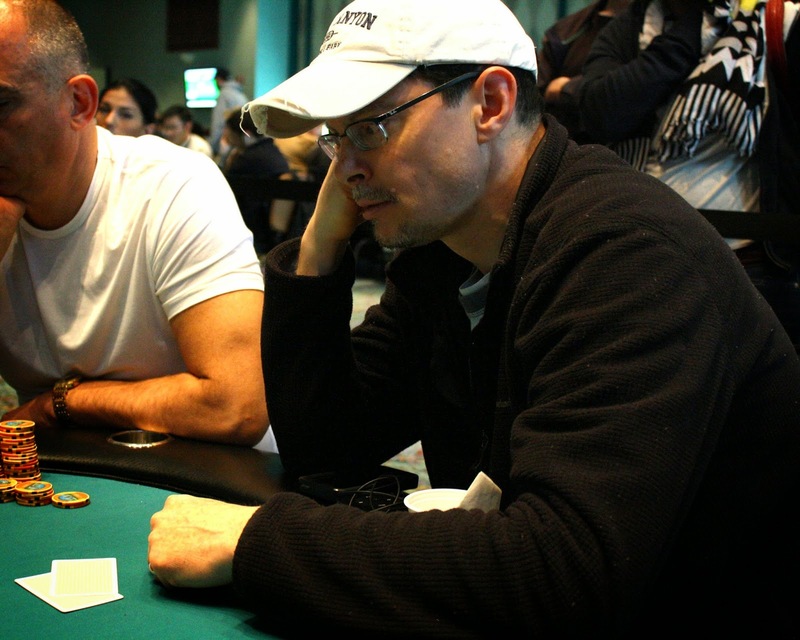 A few hands later, Antoine was all in and out of his chair as his [Tc][9s] was in trouble against his opponent's [Ah][Kh]. The [6d][7d][8c] flop changed all that as it gave Antonie a 99% chance of doubling up. The [4c] turn secured him the doubleup, and the river fell the meaningless [2s]. Antoine ends this rollercoaster with 225,000. Antoine Younes was all in with [Ac][Jc] and was up again She Lok Wong's [Tc][8c]. The board ran out [7h][2c][7s][5h][4c] and Antoine will double up to approximately 400,000. Only a couple hands after She Lok Wong doubled up, he was at it again. This time he had even less of sweat as he was all in with [Ah][Ad] against Joseph Tieri's [As][Kc]. The flop came [6h][Jh][Qs], and Joseph was drawing to a non-heart ten. 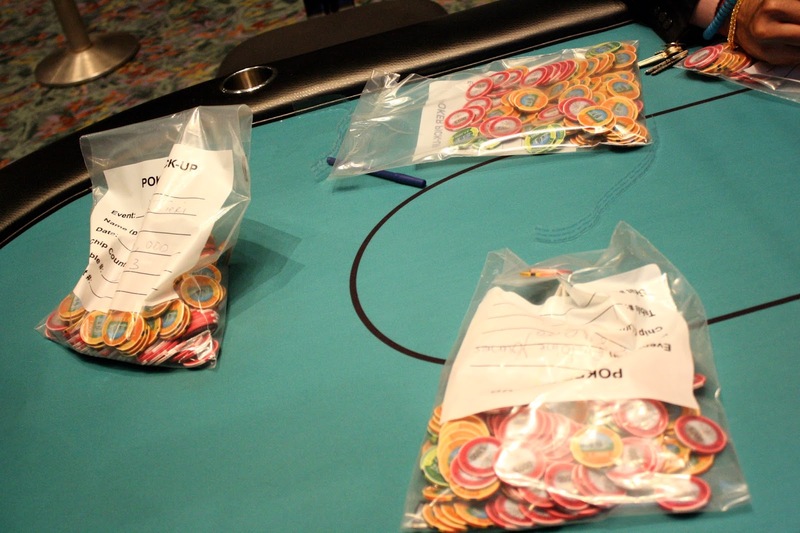 When the board ran out [Jc][7h], She Lok earned another doubleup, this time increasing his stack to over 750,000. 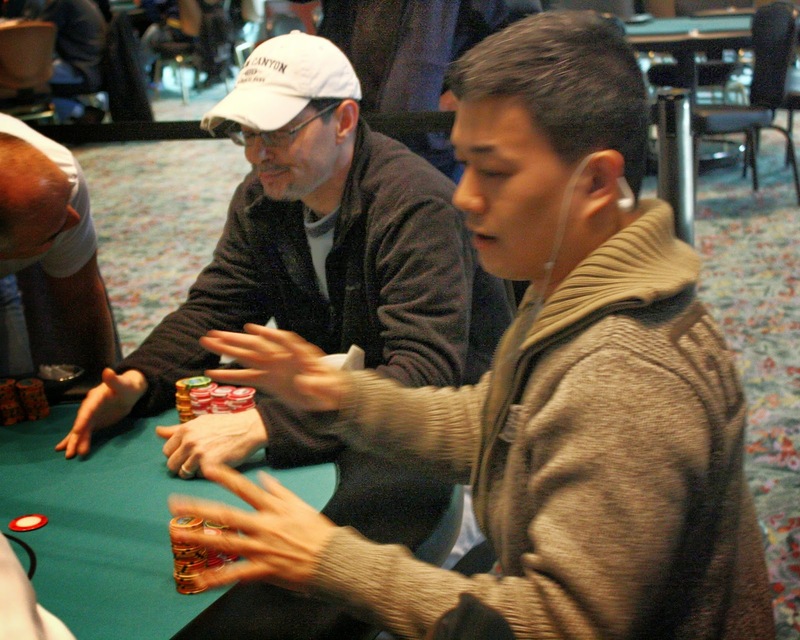 She Lok Wong was all in preflop holding [Ks][Kc] and was up against Mazen Nesheiwat's [Qs][Js]. The board ran out fairly clean for She Lok as it fell [7c][Ac][9d][6d][9c], and he will double up to approximately 350,000. 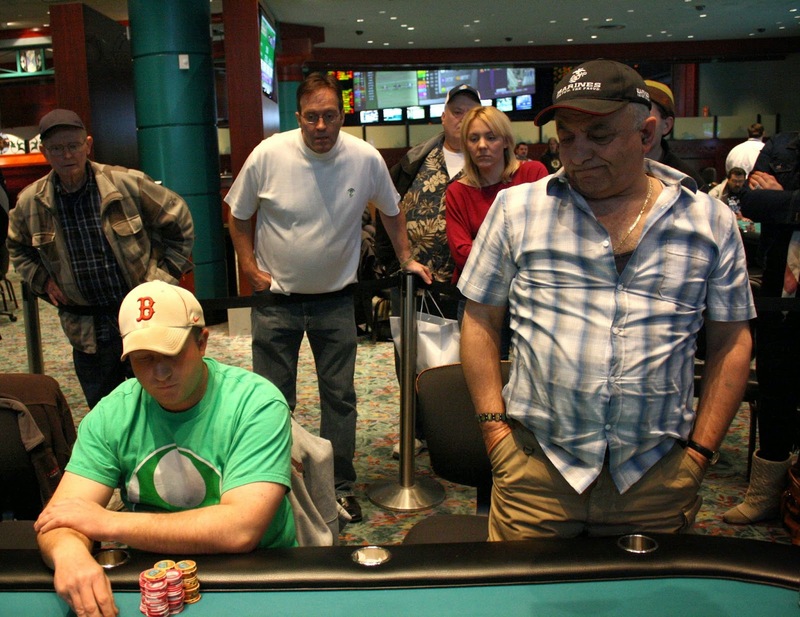 It was a classic race as Bob Ricciuti was all in preflop holding [8s][8h] against Mike Jarvela's [Ah][Kd]. 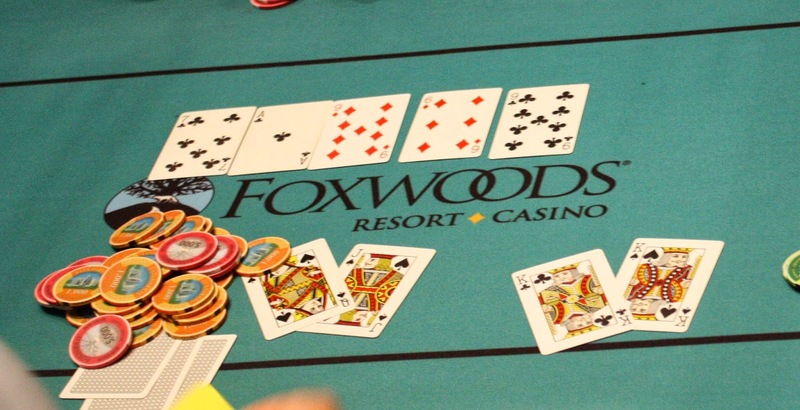 Mike flopped top pair on the [Ks][3s][9c] flop, and it held through the [9d] turn and [Th] river. 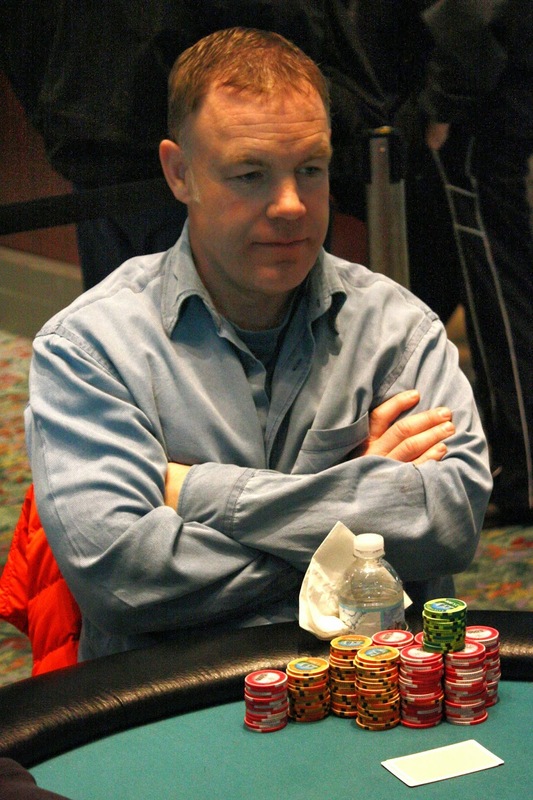 Bob will exit this tournament in 10th place, good for $9,590. On a [3h][5h][8h], Antoine Younes was all in holding [Ah][Qd] and was drawing to the nut flush against Sam Haddad's [3d][3c]. 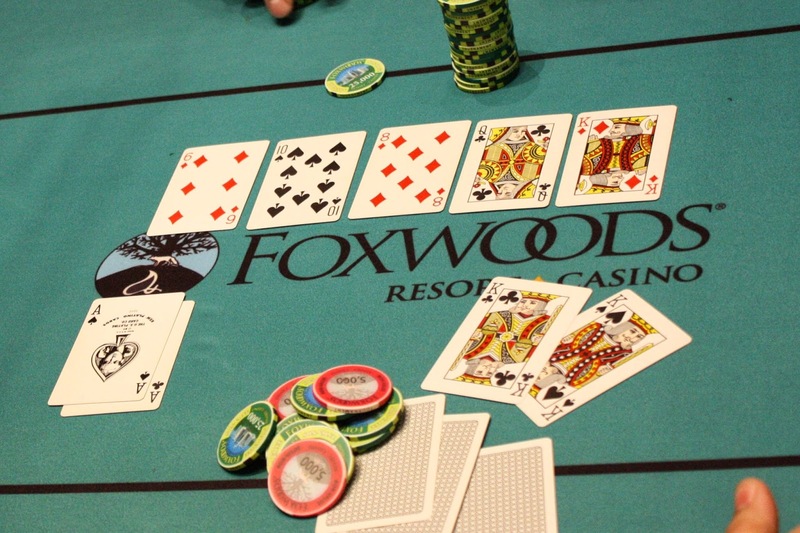 The [2s] gave Antoine a gutshot straight draw as well, but the [9h] river gave Antoine the winning flush. He will double up to approximately 620,000. On one of the first hands of the final table, Bharath Sreekanth was all in holding [Ks][Kh] and was called by Aaron Smith holding [Th][Tc]. The board ran out [7d][Qs][9c][6d][As] and Bharath will double up to approximately 400,000. Mike was all in preflop holding A-9 and was called by Mazen Nesheiwat who held A-J. 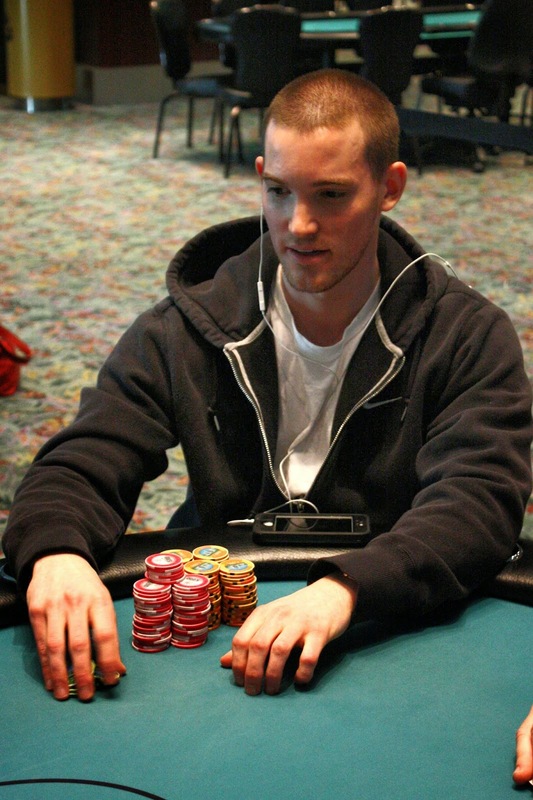 No nine came and Mike Schoultz will be our 11th place finisher for $9,590. 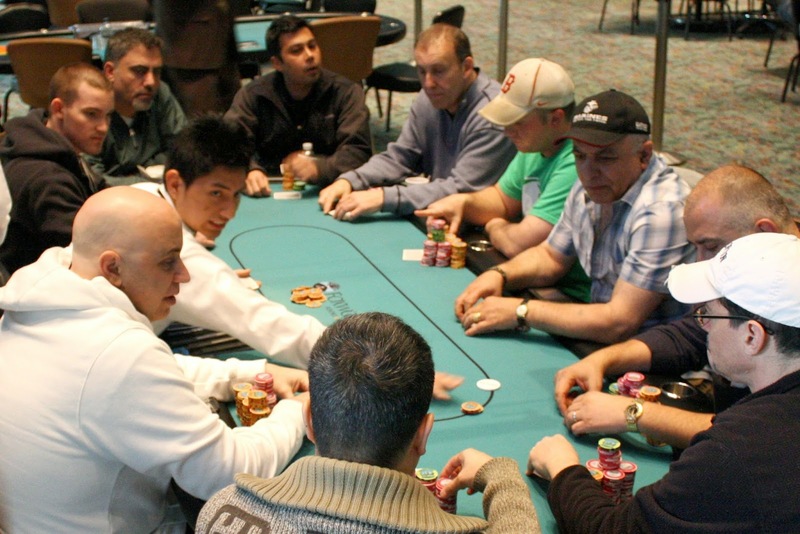 The remaining 10 players will be combining for a final table. With 13 players remaining, play has concluded for the night in the $2,700 Championship. Play will resume at 12pm with the same seating assignments as a redraw was recently done. There will be another redraw when the final 10 players are reached. Full chip counts will be posted shortly.